Angulated Screw Technology / How to change access holes in unfavourable implant angulations. Case made by N.Chandra Sekhar Dynamic Abutment Solutions India. One of the main requirements of Implant supported prosthesis happens to be passive and retrievable Prosthesis. Basically all cement retained restorations are passive but not retrievable, on the other hand screw retained prosthesis are retrievable but not passive owing to the casting technology. The bone trajectories and complexity of anatomical structures limits the possibility of retrievable prosthesis. The lack of bone usually in the maxillary anterior region allows the placement of implants in an unfavourable angulations which increases the complexity of prosthesis fabrication. The Dynamic abutment solutions provide remedies for all these complex situations and make the prostheses passive and retrievable. 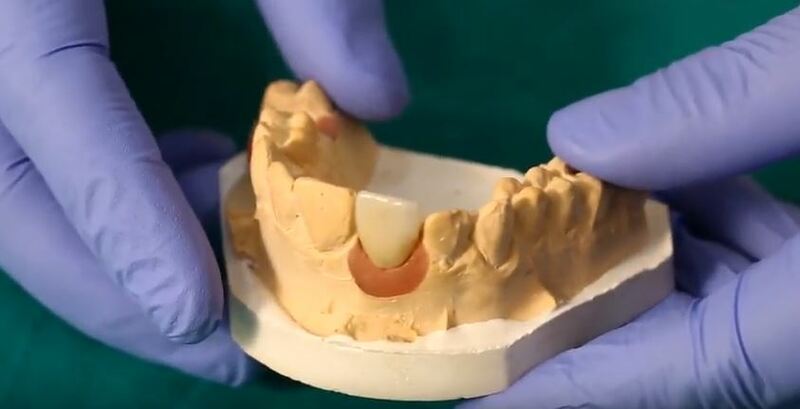 The video demonstrates the description of use of Dynamic abutment solutions.